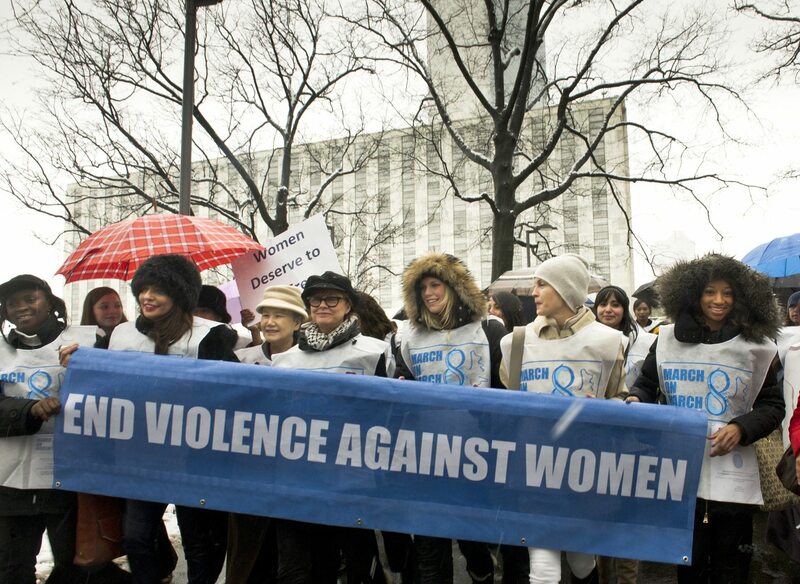 Many events on Friday, March 8 were held in celebration of International Women’s Day, including several events at UN Headquarters in New York City held alongside the 57th session of the Commission on the Status of Women which is focusing on ending violence against women and girls. Watch the archived webcast of the official commemoration organized by UN Women with Secretary-General Ban Ki-moon and Michelle Bachelet and many more participants. The event was moderated by Isha Sesay from CNN. Mrs. Ban Soon-Taek, wife of Secretary-General Ban Ki-moon, led a group of celebrity supporters — in the snow — for the first-ever March on March 8. In addition, United Nations officials today issued a call to governments and citizens across the world to take action to end violence against women in all its forms and in all its contexts. More on this from the UN News Centre.